Today is our last day in Stoke on Trent in the Midlands of England. We spent the day getting ready for travelling to Europe and I spent some of the day catching up on the blog posts. 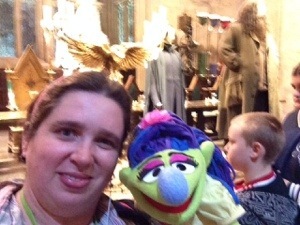 Miss Hannaford is really going to miss Stoke on Trent- she has made so many fantastic discoveries at the museum but we are both looking forward to new adventures in Europe and we are also starting to look forward to returning home. 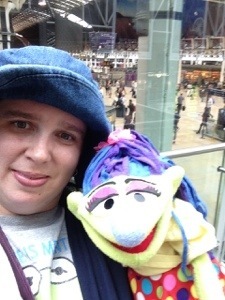 Today Miss Hannaford and I travelled by train back to London for the last time on this trip. We are only in London for 1 night before we fly to Venice tomorrow. 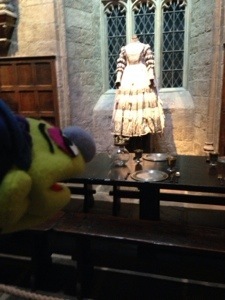 Since we had one last afternoon in London, Miss Hannaford and I went to visit the sights we hadn’t quite gotten to yet. 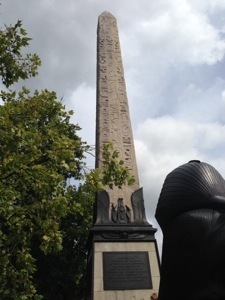 The first place we visited was Cleopatra’s Needle, a real sandstone Egyptian obelisk from Egypt. The obelisk is flanked by 2 big bronze sphinxes and all the park benches either side of the obelisk also have female sphinxes on the ends of each bench. 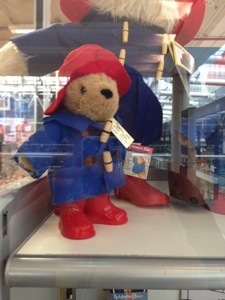 After visiting Cleopatra’s Needle our next stop was Paddington Station. 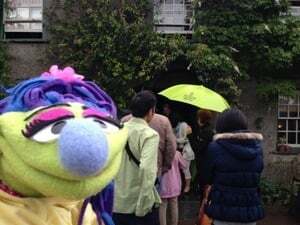 This is another place Miss Hannaford has always wanted to visit since she was a child because another of her favourite story books and also one of her favourite children’s tv programs as a little girl was The Adventures of Paddington Bear. Paddington Bear got his name because he was found at Paddington Station wearing a hat and dufflecoat which had the label- “Please look after this bear- Thankyou.” Miss Hannaford’s first ever glove puppet of Paddington Bear came from Paddington Station- she was age 6 and she still has that puppet! 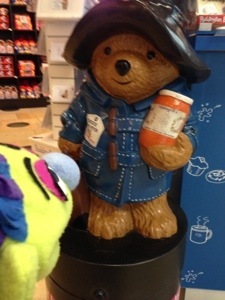 So I had my photo with Paddington Bear in the Paddington Bear shop. 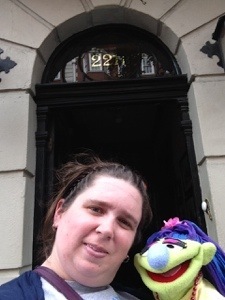 Our next and last activity here in the United Kingdom was to go and visit the Sherlock Holmes Museum at 221B Baker Street. Sherlock Holmes is a fictious famous detective who with his friend Dr Watson would solve crimes in Victorian England using science, logic and the famous phrase- “it’s elementary my dear..(name)…..”. 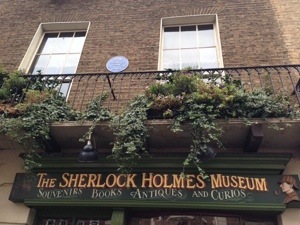 This museum has been created to match the home of Sherlock Holmes exactly as it is described in the books by Arthur Conan Doyle. 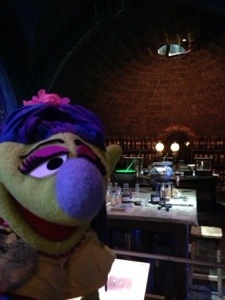 Miss Hannaford’s favourite story is the Hound of the Baskervilles but she prefers the movies made from the stories starring Basil Rathbone as she grew up watching them with her mother every Sunday afternoon when she was a small child. 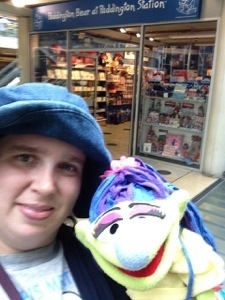 Miss Hannaford and I have both really enjoyed our visit to the United Kingdom and our next stop is Italy! Miss Hannaford kept working on her research at the Wedgwood archive today. 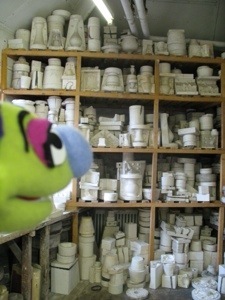 She discovered some really interesting secrets of how different ceramic companies used to make moulds of antique vases and then make clay copies of those vases. 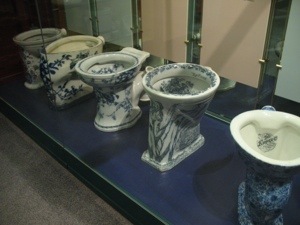 It means that the early ceramic companies like Wedgwood copied vases using moulding and casting almost like they used a photocopier to make exact copies. 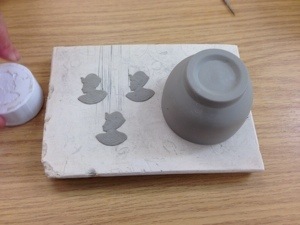 Today Miss Hannaford was still researching in the Wedgwood archive but when she took a break, we went to the ‘have a go studio’ and the staff there had prepared a special surprise for her. 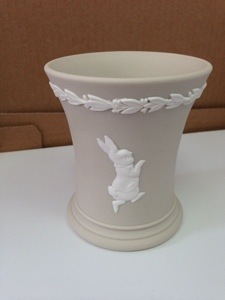 She was given the opportunity to put an Egyptian decoration on a Wedgwood pot! 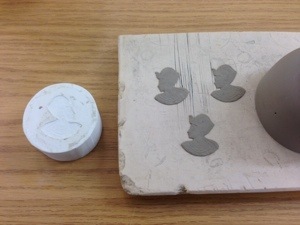 The pot will be later fired in the kiln and sent to Miss Hannaford in the mail. 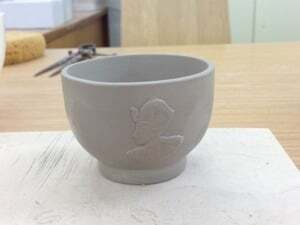 When Miss Hannaford finished making her pot, we were given the opportunity to watch one of the Wedgwood craftsmen use a lathe to carve chopstick rests out of a rod of clay. Today was Miss Hannaford’s last day at the Wedgwood Museum. 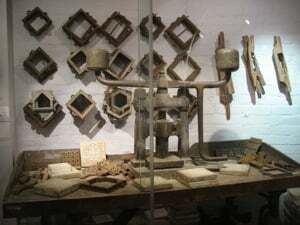 She was given the very rare privilege of seeing behind the scenes at the museum at some of the oldest and rarest pieces of Wedgwood including several pieces that were early experiments for the pieces Miss Hannaford now has in her collection. 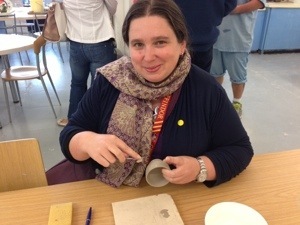 After the tour, Miss Hannaford had the opportunity to try another kind of Wedgwood decorating- using transfer pictures printed on a special plastic that will stick onto the pottery when it is fired in the kiln. 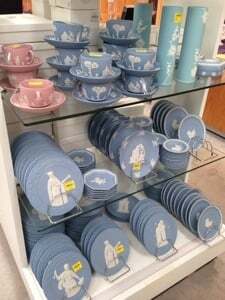 All dinner plates and cups that have the exactly the same picture on them are decorated using this special plastic. 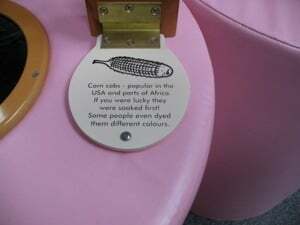 Here is a picture of the old way the image was put onto plates before the invention of the plastic. The paper backing would be soaked off once the picture was on the plate. 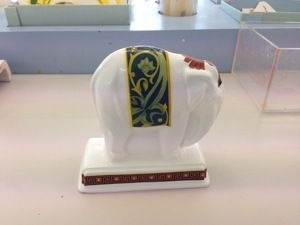 Here is the Elephant Miss Hannaford decorated- the colours will change a bit once it is fired in the kiln and the yellow plastic burns away. 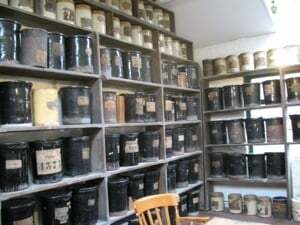 Miss Hannaford has learnt so much at the Wedgwood Museum archive that it is going to take some time to sort all the details out before she can finish her writing and research for her book. Today is a Bank Holiday here in England which means it is a Public Holiday for everybody and the archive where Miss Hannaford is researching is closed for the day. It is also the last week of summer school holidays for UK students- their new school year will start next week. It is very cold and rainy today- very much like Sydney so Miss Hannaford decided that we will go and visit the Gladstone Pottery Museum which is not far away from our hotel. 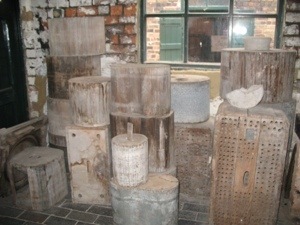 The Gladstone Pottery Museum is unlike every other museum we have visited during the last 2 months. 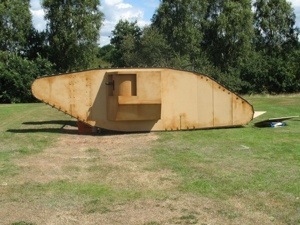 Gladstone is the last surviving complete “Potbank” in the world. 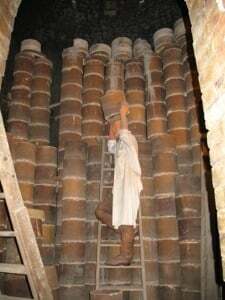 Before electricity, pottery was fired by using coal fired kilns. 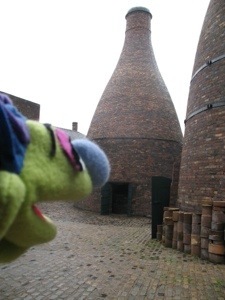 The kiln itself was kept in a special building called a bottle oven. 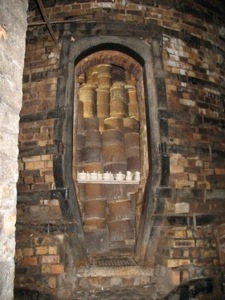 Gladstone Potbank was first opened in 1774 and it is called a pot bank because of the number of bottle oven kilns it has- it has a bank of kilns. 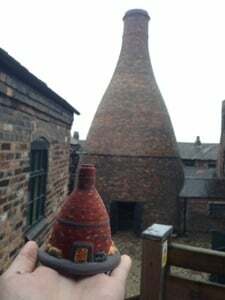 The last time pottery was fired in the bottle kilns was in 1964. This type of kiln is not used any more because burning coal is very dirty and very bad for the environment and people’s health. All the machinery at Gladstone is run by a single steam engine- just like a steam train just without the wheels! 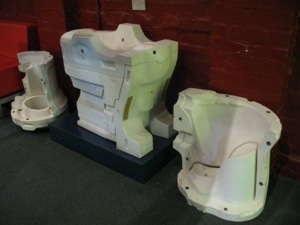 In the next room, you can see one of the machines that is controlled by the steam engine- the clay slip mixing machine where clay is mixed with water to make it runny so it can be poured into moulds. 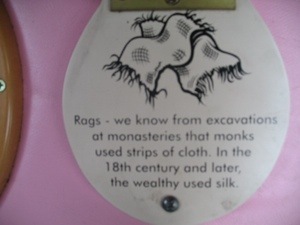 A really interesting room was the room where all the Saggars are made. Saggars are special clay containers that the pottery was put inside when it was fired in the kiln to keep it clean from the soot of the coal. Saggars were made in 2 parts- one man made the walls of the saggar but the man who made the base of the saggar has the most interesting job title- the Saggar bottom knocker. 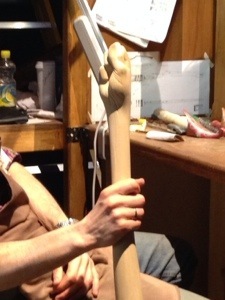 The saggar was shaped using the special wooden blocks you can see in these photos. 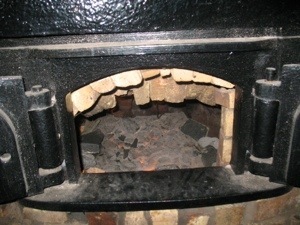 Here is a tour inside the bottle oven so you can see the actual kiln with Saggars inside! 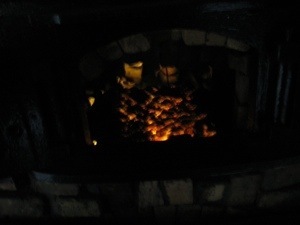 Once the kiln was full, the door would be bricked up and the man in charge of supervising the firing- called the ‘Fireman’ would stay with the kiln for 3 full days day and night shovelling coal into the firemouths around the kiln. 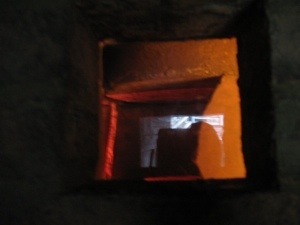 The temperature of the kiln and that space around it got to over 1200 degrees celsius! Being the fireman was a very dangerous job and it was even more dangerous for the men who took the blistering hot saggars out of the kiln. Burns, lung and eye damage were very common among the men who had the horrible job of entering the hot kiln and removing the saggars and taking the pottery out of the saggars! Some of the other very interesting rooms we saw was the mould making room, the room where real gold is mixed by machine in an oil to make a special paint that is painted onto ceramics as well as the room where different minerals and oxides are mixed together to make the colours that are painted onto ceramics. 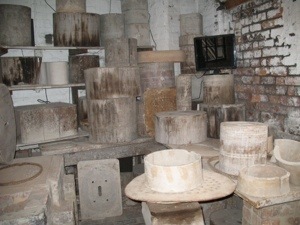 There are 2 exhibitions at Gladstone Pottery Museum apart from the factory display. 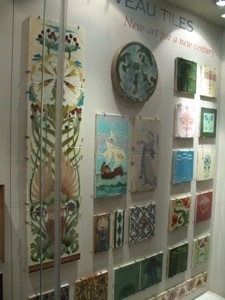 One exhbition is about how tiles are made around the world and through history. 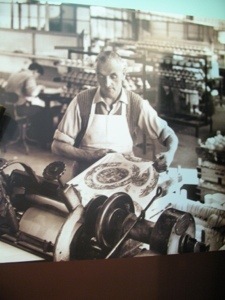 It was really interesting to see the old fashioned press that is used to make tiles! 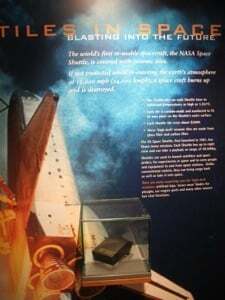 It was really cool to see one of the special tiles that were used on the Space Shuttle! 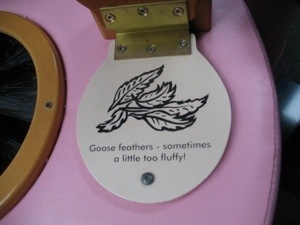 The other really interesting exhibition is the ‘Flushed with Pride’ exhibition all about the history of toilets! 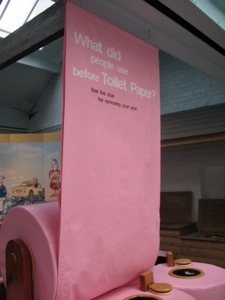 The exhibition starts with a recreation including the smell of an old fashioned street before the creation of sewers! 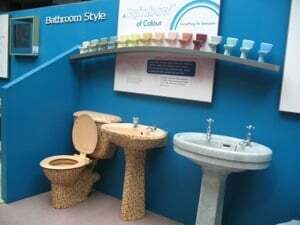 Here are some photos of the very unusual toilets! After the exhibition, Miss Hannaford went and painted her own little clay miniture bottle oven. It was a really interesting day! 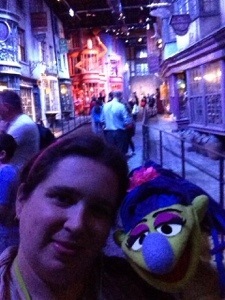 For Miss Hannaford and I, today was our last Harry Potter day. It meant we had to get up really early again to get the 6am train to London and it took 4 hours to get there! 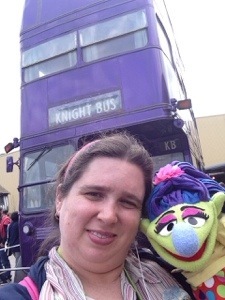 The first thing Miss Hannaford wanted to do was to go to a really big park in London called Hampstead Heath which meant we got to catch another red double decker London bus and of course we sat upstairs! 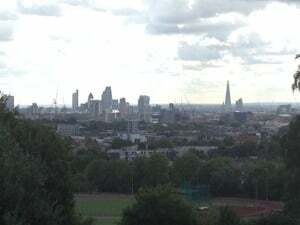 Hampstead Heath is a really big park and it has a really big hill. 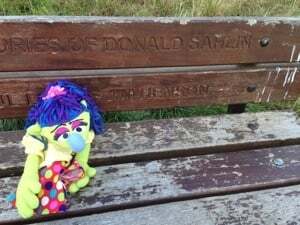 The heath has lots of park benches you can sit on especially at the top of the hill and many of the benches are dedicated to loved ones who have died but at the very top of the hill facing the skyline of London, is a bench dedicated to the memory of the original Muppet Head Builder Donald Sahlin and the person who invented the Muppets- Jim Henson. 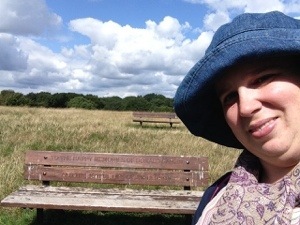 This bench is almost a twin of the bench we sat on in Central Park in New York! 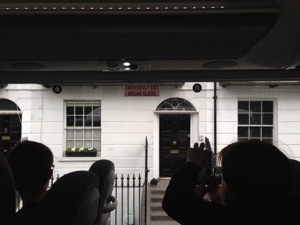 Once we finished on Hampstead Heath, we caught the bus and then the underground train to Temple Station. 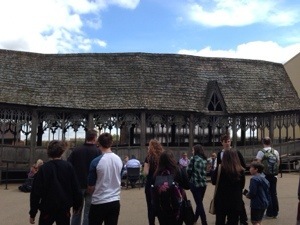 This was our tour meeting place for the Harry Potter film locations bus tour in the afternoon. 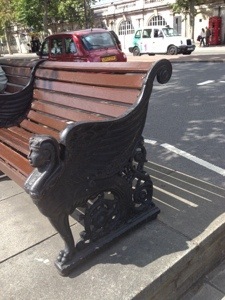 Since we got to the meeting point nice and early, we went to sit on a bench next to the Thames river and Miss Hannaford noticed that our bench had a Female Sphinx on the end of the bench! 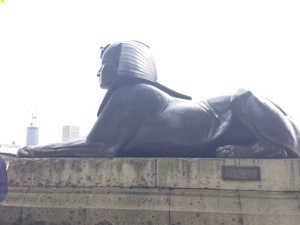 It was such a coincidence since Miss Hannaford is doing research about Egypt and has seen so many drawings of Sphinxes both male and female! 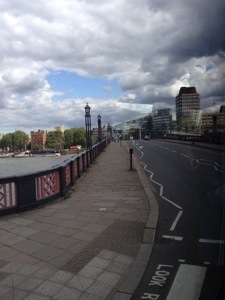 The tour visited many places the walking tour went to but we also visited several new locations including Lambeth Bridge where the Knight bus squeezed between 2 double decker buses in Harry Potter and the Prisoner of Azkaban. 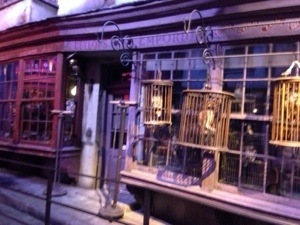 The next new location was Claremont Square that was sort of used for the scene outside Grimmauld Place in Order of the Phoenix. The local council and water authority did not want the filmmakers in Claremont Square so the set design team used a special camera to film a 360 picture of the sqaure and its buildings so they could use a life size picture and a real set to recreate Claremont Square exactly without disrupting the lives of the people who actually live in those houses. 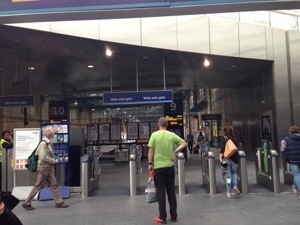 The last new location was Kings Cross Station and Platform 9 3/4. 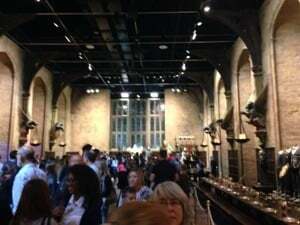 The real platform 9 and 10 does not look like the film because JK Rowling confused the platform at Kings Cross with the platform 9/10 at Euston station which does have arches down the middle to act as a barrier to platform 9 3/4. 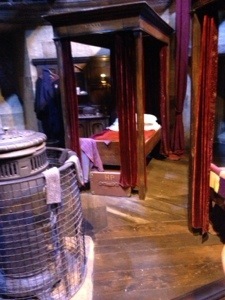 For filming, the real Hogwarts Express was brought to platform 3/4 at Kings Cross. 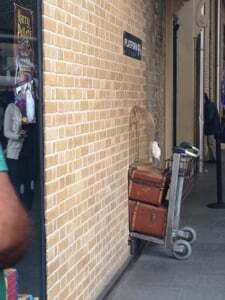 Since Kings Cross is a real station, tourists are not alowed on platform 9/10 or 3/4 unless they are traveling on a train, so a wall has been built just outside platforms 9/10 and Harry’s trolley with trunk and Hedwig’s cage are embedded into the wall so you can have a picture taken! 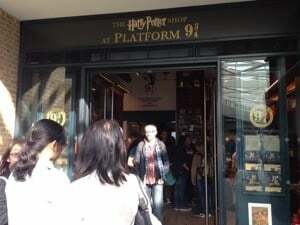 The queue was very long so Miss Hannaford and I went into the Platform 9 3/4 shop next door to buy some special souvenirs. 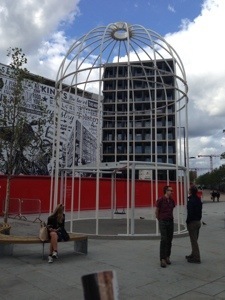 Outside Kings Cross Station is a giant Hedwig Cage with a swing so you can sit on “a perch” and pretend to be Hedwig! Today was another rest day at the hotel. Miss Hannaford kept working on her research- sorting out her notes and I watched a few very interesting TV movies including one called Death comes to Pemberly. It is sort of a sequel to the famous Pride and Prejudice by Jane Austen- with a murder mystery to solve. The summer here in England is the same as our winter in Australia! Very cold and it rains every day! So it is perfect weather for staying inside! We only have 1 more week here in England before we travel to Italy but Misd Hannaford has organised some interesting outings and activities for us to go on or do during the week. 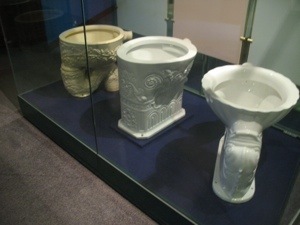 Miss Hannaford has been making really interesting discoveries at the Wedgwood Museum the last 3 days. 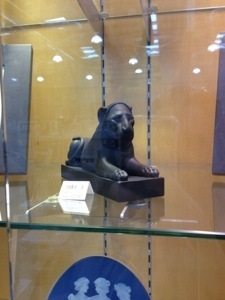 She has found hidden Egyptian Sphinxes on some of Wedgwood’s most famous sculptures that no one else who has researched Egyptian style Wedgwood has ever found! 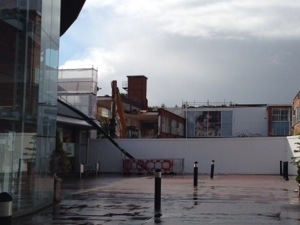 While she has been working hard in the museum, we keep hearing really loud noises from outside, so I went to investigate and found huge munching machines pulling down the old Wedgwood factory building next door! One of the machines is very similar to a Tyrannosaurus Rex with a big jaw that reaches up and cuts straight through brick, metal beams and roofing sheets and throws them down onto the ground for a bulldozer to move into huge piles. I have seen big trucks full of building rubble go past the room where Miss Hannaford is working but now I know how the building is being demolished. Here is a video of the T-Rex muncher pulling the building apart. 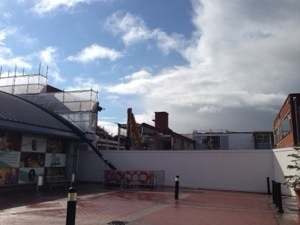 The very next day after I took that video even more of the building was gone- can you see what the T-Rex pulled down next? Here are some other photos of the old factory demolition that we have taken over the last few weeks while we have been at the museum. 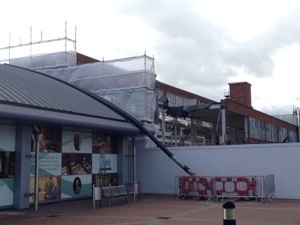 You can see how quickly that T- Rex machine eats through a big building! 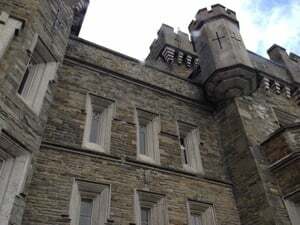 After all the travelling around England during the last few days, Miss Hannaford and I decided to spend the day resting at the hotel and catching up on these blog posts. It is also very cold at the moment in England. The English summertime is very different to Australian summer in that it rains nearly every day and the temperature can be very cold with daytime maximums reaching 20 degrees unlike Australia where the summer temperature reaches 40! 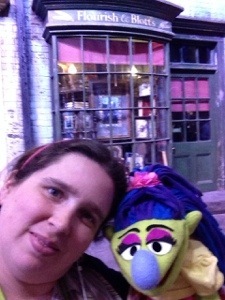 Day 52 & 53: Monday and Tuesday 18/19th August. 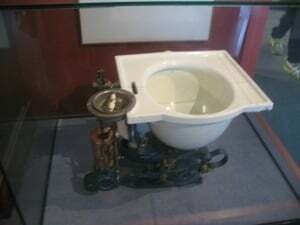 Miss Hannaford spent more time working on her research at the Wedgwood Museum Archives. She was really excited to find a new piece of Egyptian Style Wedgwood from 1930 that she had never heard of before and better still, she was allowed to touch a piece of it before it was put safely away in the museum! Miss Hannaford tells me we are doing something different tomorrow so I can’t wait! 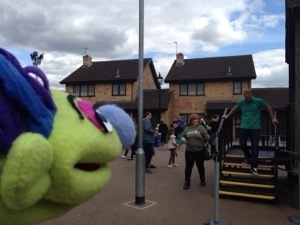 Today Miss Hannaford and I travelled by train to Warner Bros Film Studios in Leavesden where all of the Harry Potter films were made. 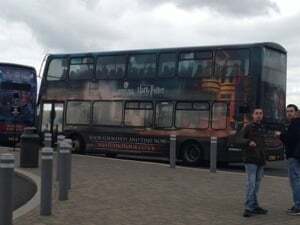 From the train station you travel on special Harry Potter double decker buses that look similar to the purple Knight Bus and when you get off the bus, the first thing from the film you see are the giant chess pieces from the first film! 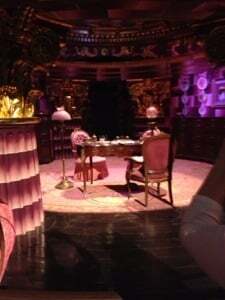 Something you need to know is that the buildings (called Stages) that you see in the pictures are not the sound stages used for shooting the eight films. 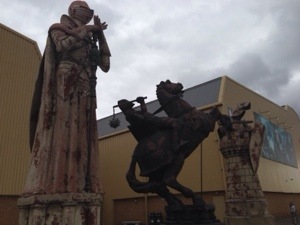 The Warner Bros studio is still a fully function film studio and so new buildings have been built and the sets, costumes and props have been moved here. 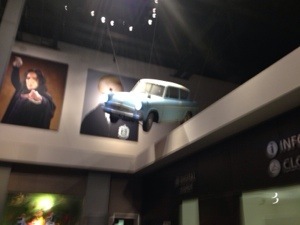 When we walked into J Stage- you have to line up so you get to see all the great photos on the wall as well as one of the flying Ford Anglia cars used in the second film! 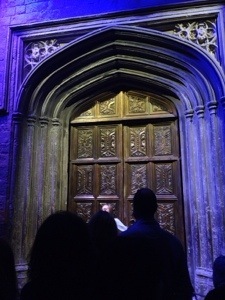 After a short film- they reveal the spectacular doors to the Great Hall which then people are invited to push open to reveal the real Great Hall (minus the magical ceiling)! 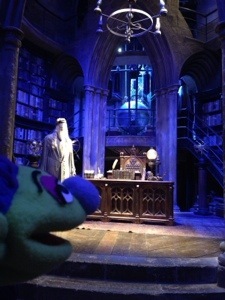 You get to see lots of props, sets and costumes from every film throughout Stage J. I really liked the Griffyndor Common Room, Dumbledore’s Office and the area where you get to see broom sticks being made by the actual people who made all the broomsticks for the films! 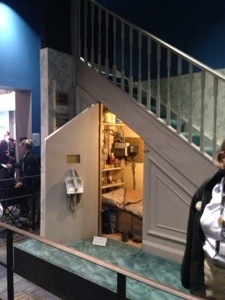 The next set we got to see was the kitchen of The Burrow where you can see self chopping knifes, pans that was themselves and knitting needles doing their own knitting! 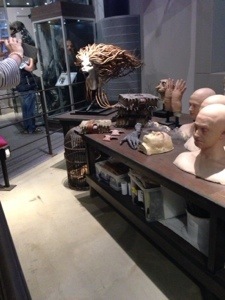 The last thing you see before you leave Studio J are some of the sets from the Ministry of Magic for films 5,6,7. 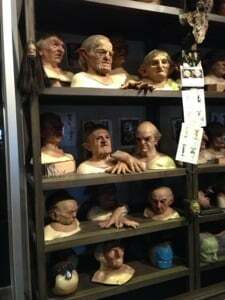 Only some of them are here because they are enormous! 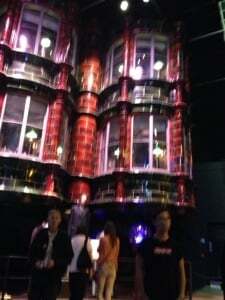 They go from the floor to the ceiling which is 5 storeys high! 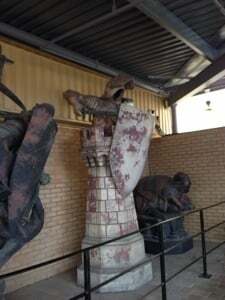 When you leave Studio J, you walk into the outdoor backlot area where you can see 4 Privet Drive, the actual Knight Bus, the wonky Hogwarts Bridge and more of the chess pieces! 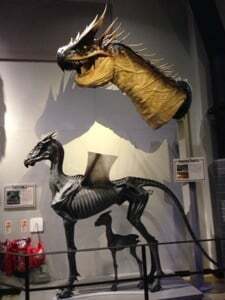 The next studio is Studio K and you start by seeing all the amazing makeup and animatronic creatures including Buckbeak the Hippogriff, Mandrakes, Monster Book of Monsters. You can see them in this video. 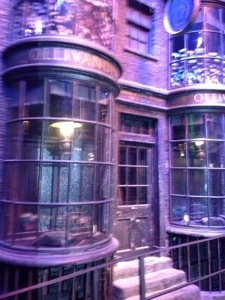 The next space you walk into is the actual set of Diagon Alley! 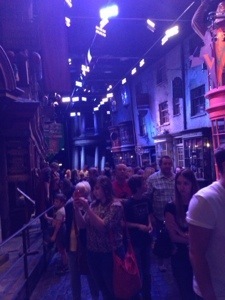 This space is different from the Diagon Alley we experienced in Orlando, Florida USA. 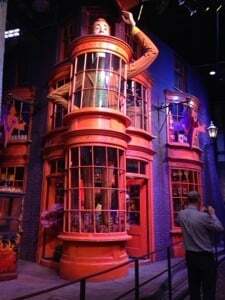 Here you are not allowed to go into the shops like Ollivanders or Flourish & Blotts but it is nice to compare the two versions of the Alley and how accurate the Florida attraction really is! 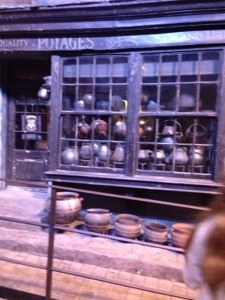 The last room is a room full of wandboxes that looks like Ollivander’s wand shop. 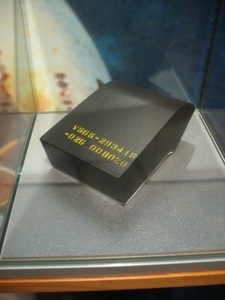 Each box has the name of someone who worked on the films either behind the camera or in front of the camera. 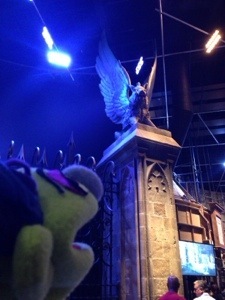 It was a really exciting day and we had so much fun! Today we went on a great adventure! 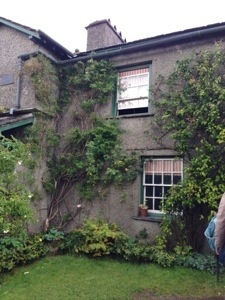 Miss Hannaford and I visited Hill Top Farm, the home of Beatrix Potter, the author of the Tale of Peter Rabbit, as well as the other 26 children’s books including the Tale of Jemima Puddleduck. The books by Beatrix Potter is Miss Hannaford’s favourite childhood stories. To get to Hill Top farm involved using several trains as it is very far away in the north of England in an area called the Lake District. 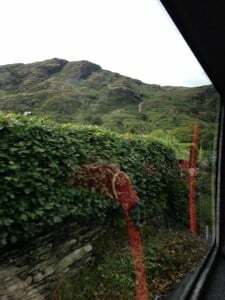 Miss Hannaford organised for us to go on a professional tour so we could see all the important Beatrix Potter sights without having to worry about transport in such an unfamiliar area. The first stop of the tour was a place called Kaiser’s lookout. Even though it was raining, the view was amazing! The big difference about the country here from Stoke on Trent is that the farmers use ancient dry stone walls to keep their sheep in rather than hedges. The weather is very serious here as the mountains are quite high so dry stone walls give better protection to the sheep from the gale force winds than hedges plus hedges don’t grow as well in the extreme cold here during winter. Dry stone walls refer to the fact that the walls have no mortar holding them together. 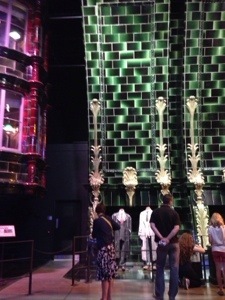 The stones are stacked on top of each other and are built quite thickly so they can stand up. 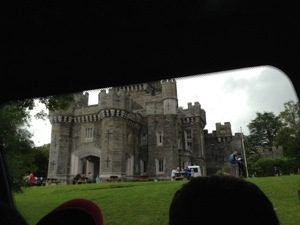 The next stop on the tour was Wray Castle. This looks like a real castle but it was actually built in the 19th century as a country home for a rich family who ended up never living here because they did not like what the architect had done with the towers. 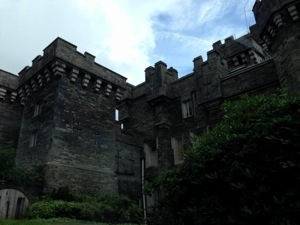 The parents of Beatrix Potter, who were very wealthy, rented the castle for summer holidays and Beatrix came to the castle as a child with her younger brother. 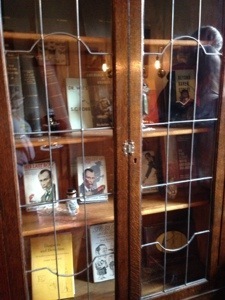 It is believed that her first few books are inspired by her childhood holidays at Wray Castle. 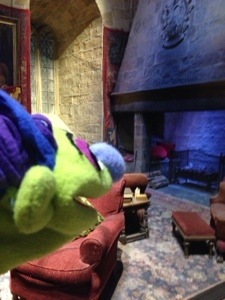 After Wray Castle we finally came to the place Miss. 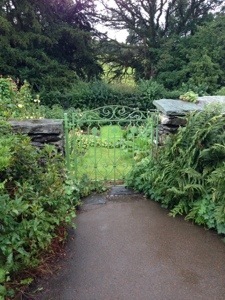 Hannaford’s has always wanted to visit since she was a small child- Hill Top Farm, the first home Beatrix Potter bought for herself and where many of her books were written. Unfortunately it was raining so we did not get to explore the garden other than to take a quick photo but Miss Hannaford was thrilled to see where Mr Samuel Whiskers tried to push Tom a Kitten down the stairs and the original dolls that were the models for Lucinda and Jane in the Tale of Two Bad Mice. 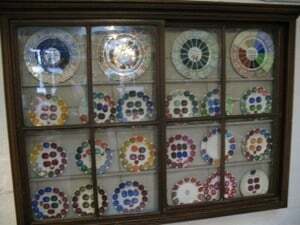 she even found Wedgwood that belonged to Beatrix Potter in one of the upstairs rooms! 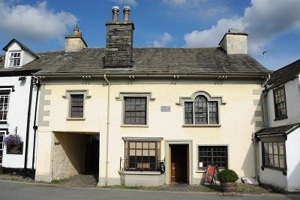 The next stop on the tour was Hawkeshead village where Beatrix Potter’s husband William Heelis had his law office- it is now a gallery with many original paintings by Beatrix Potter on display including many of the original paintings from her books. 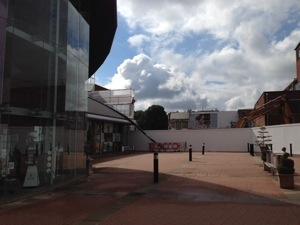 You are not allowed to take pictures inside the gallery but here is the outside of the building. 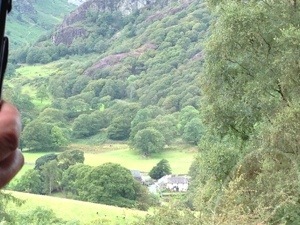 After Hawkeshead village we travelled to Coniston Water but on the way we got a high up glimpse of Yew Tree Farm. 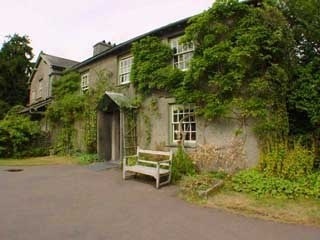 Yew Tree was also owned by Beatrix Potter but it was used as a double for Hill Top farm in the movie Miss Potter because the film makers were not allowed to change anything at Hill Top as it is a heritage listed building. 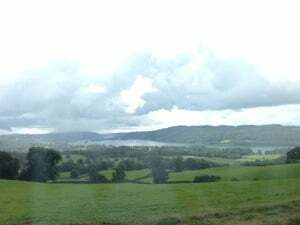 You can see how high some of the hills are in the Lake District! 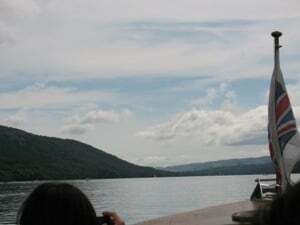 We then travelled down the hills and arrived at Coniston Water for a boat cruise. Coniston Water is famous as it where the water speed records were set in the 1960’s because the lake is 5km long and 800 metres wide at its largest point. 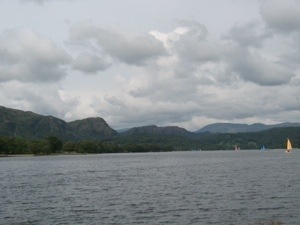 The lake also gives wonderful views of the mountains including a mountain range called Old Man Coniston. 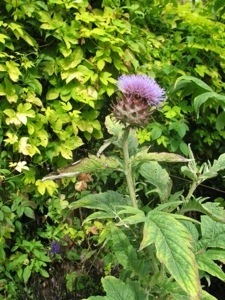 When we got off the boat, we walked through a very old garden and I got to see a real Scottish Thistle. The Thistle is the floral symbol of Scotland. 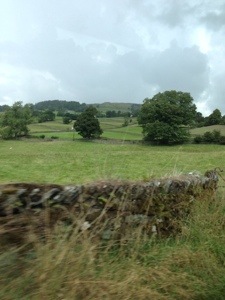 The last stop of the day was to drive past Yew Tree Farm at ground level so we could see how similar to Hill Top it is. Both Yew Tree and Hill Top are still working sheep farms and we got to see sheep being herded across the road we were driving on! 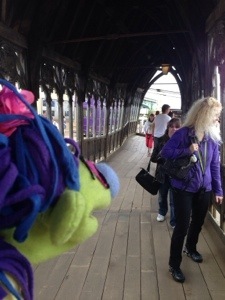 We both really enjoyed the day despite the rain! 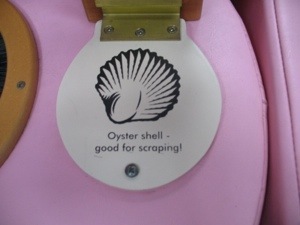 Miss Hannaford was even able to buy some Beatrix Potter books that were not in her collection and best of all they have a special sticker inside to show that they come from Hill Top! So it is another long train trip back to Stoke on Trent but it has been a great adventure! After all that travelling yesterday to the Lake District and back, and tomorrow being another really long day with another exciting adventure, today was a rest day so Miss Hannaford and I travelled into the nearby town to the bakery we found last week and bought ourselves some traditional English pies for our lunch. Miss Hannaford had spotted on a local tourist map a different reference to Wedgwood so we used the local buses to get to the location. 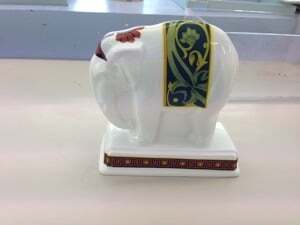 It turns out the building is a Factory Outlet which made Miss Hannaford really happy because she was able to buy a new piece of Egyptian style Wedgwood for her collection! On the way to the outlet, we passed a really interesting site- a summer ski slope! 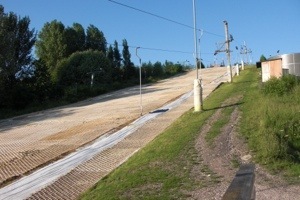 You can actually go downhill skiing in the middle of summer in England! The slope has a special matting that simulates snow and you can ski all day and all year round! Today was Miss Hannaford’s first full day inside the Wedgwood archive! She was allowed to touch the original documents- some of which are more than 250 years old so they had to be handled with extreme care. You are not allowed to bring pens into the room to write with- only pencils in case you accidentally put any marks on the paper. Miss Hannaford discovered the answer to some of her questions but she also uncovered a big mystery. Two of the special pieces in her collection could have been made in different colours but they have never been seen by anyone! Miss Hannaford asked for other documents to see if they were officially made or were just planned! 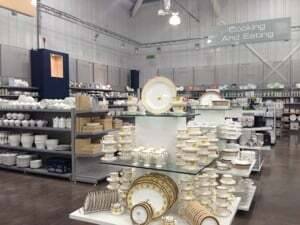 Miss Hannaford and I also got to meet a member of the Wedgwood staff who was working at Wedgwood when the Egyptian pieces were being made in the 1970’s. He was able to answer some of Miss Hannaford’s questions including telling Miss Hannaford about how some of her pieces were made. 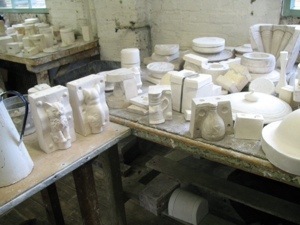 At the end of the day, Miss Hannaford collected the pot she made last week as it has now been fired to make it as hard as stone. The firing changed the colour of the picture and border she had put on the vase to white. It was really wonderful to see how excited Miss Hannaford was about the discoveries she has made today. 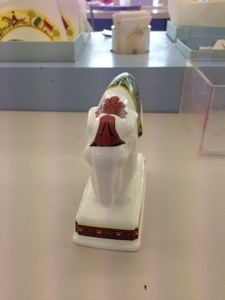 Today was another research day in the Wedgwood Archive for Miss Hannaford. She was really excited to browse through the 1802 book of shapes- the book where all the Wedgwood shapes are drawn for the factory records. She saw the original drawings of many of the pieces of Wedgwood she owns and because the book is 212 years old again it was really important to turn the pages very carefully and to rest the book on a special cushion so the cover doesn’t break off. 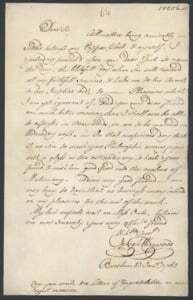 Here is an example of the 250 year old letters, Miss Hannaford has been reading. You can see how challenging it can be to read this very old style of writing. 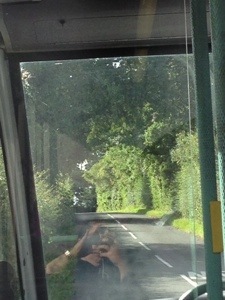 We did take some photos of the very narrow country lanes the bus to and from Wedgwood has to take. Farmers use hedges around their fields in this part of England to protect their crops from high winds. It has been wonderful helping Miss Hannaford with her research the last few days but she tells me that there is a special adventure to go tomorrow! Today we went to a local county fair. This fair is similar to carnivals in Australia in that they have rides, parades and displays by the police and fire fighters. 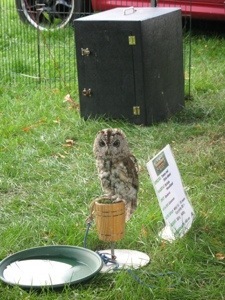 The difference is that the animals on display were English Birds of Prey including owls. 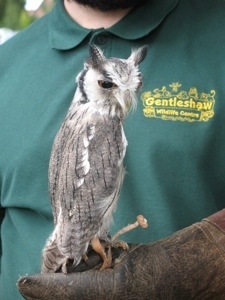 We do not have native owls in Australia- the closest bird we have to an owl is a Tawny Frogmouth. 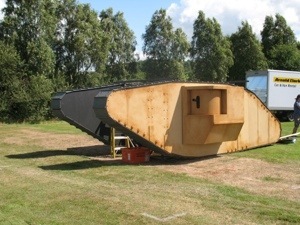 The theme of the carnival was the commemoration of the commencement of World War 1 so the special attraction of the carnival was ‘Old Bill’ a replica model of a WW1 tank that travelled through Staffordshire during the war raising money and recruiting men. 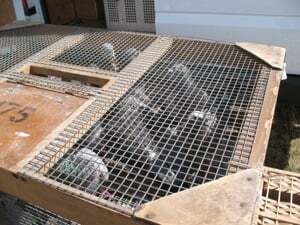 Another feature of the carnival was the release of carrier pigeons which were used during world war 1 to transport messages around. The carnival began with a parade of cadets being led by a bagpipe followed by former and current army vehicles including a small tank. During the middle of the day there was a Battle of Britain flyover of a Lancaster Bomber and a Spitfire plane that both flew during World War 2. Miss Hannaford spent today doing more work on her research at the hotel while I spent the day resting and working on trying to catch up on blogposts. It also the official halfway point of our journey! 44 days of amazing adventures and there are 44 days of hopefully interesting adventures to come!